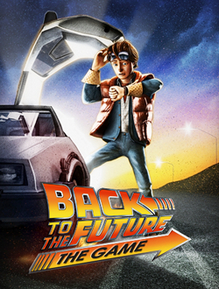 Back to the Future: The Game was delisted from Steam on November 14th, 2018 when its price was set to $0.00 making it unavailable to purchase. It remained available on PlayStation 3 and Xbox 360 for a time, possibly being delisted by the end of 218. The game was removed amid the financial troubles and rapid closure of Telltale Games in the Fall of 2018. “Six months after Back to the Future Part III, the DeLorean time machine mysteriously returns to Hill Valley – driverless! Marty McFly must once again go back in time, or else the space-time continuum will be forever unraveled!